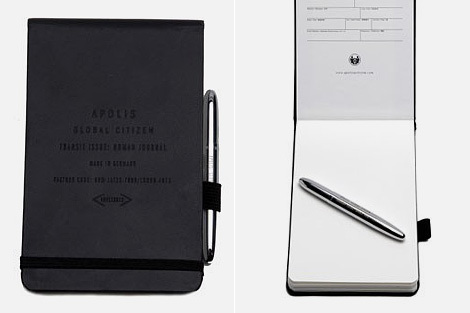 Finally the solution to documenting your travels with style and ease is available through Apolis. A bullet space pen, the kind that writes in any temperature or angle, is accompanied by the Transit Issue Waterproof Nomad Journal in leather. And yes, the paper is waterproof so not even the rain will stop you from sketching and noting the places you have been.